Celebrations are in full flow this Diwali with many festivals taking place across the UK. In London, Mayor Sadiq Khan joined thousands in Trafalgar Square for the Hindu festival. The festival of light included live entertainment, signining and dancers. Prime Minister Theresa May welcomed people from across the Hindu, Sikh and Jain communities to celebrate Diwali at Downing Street. Purchasing gold during the festival is particularly significant for many Hindu families. Indeed the tradition and ritual of buying physical gold is the equivalent of inviting the Goddess of wealth and prosperity – Lakshmi – into the home. What gold do families tend to buy? Jewellery is popular during Diwali but many prefer buying gold coins during this special time. Used during Lakshmi Puja, the newly bought gold is kept inside an artificial home. This is called a Hatari (à¤¹à¤Ÿà¤°à¥€) and is made of either silver or mud. During Lakshmi Puja, the newly bought gold coin is attached with adhesive to the navel of Goddess Lakshmi. Two of the most auspicious days for purchasing gold during the festivity is Pushya Nakshatra day and Dhanteras. 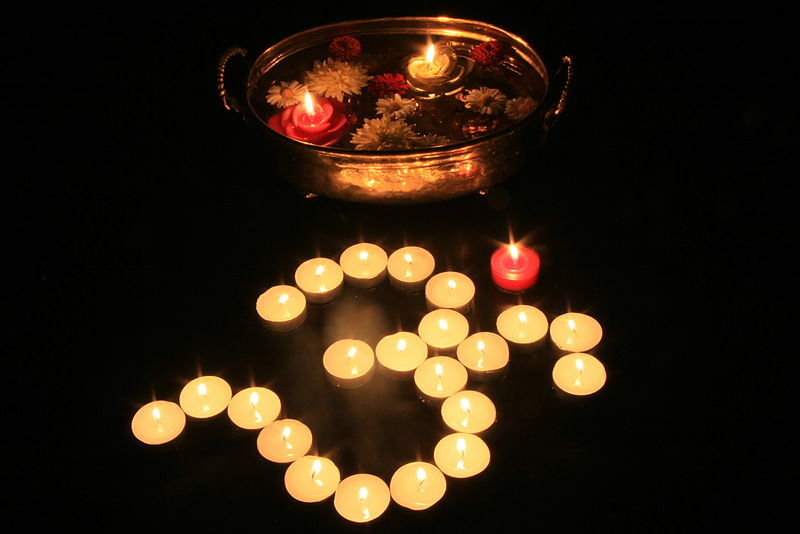 Gold Investments has been delighted to support those celebrating Diwali since 1981. Read Pranav’s story about buying gold here. Find out more about how Gold Investments is celebrating Diwali here. Happy Diwali 2016 from all the team at Gold Investments. Main picture courtesy of ‘humdingor’, used under the Creative Commons Licence.